Vijay Aggarwal, Ph D has over thirty years of experience in both pharmaceutical services and clinical diagnostics. In addition to serving as Managing Partner of The Channel Group, Dr. Aggarwal provides strategic advisory services to companies with operations or investments in the clinical diagnostics, molecular diagnostic and anatomic pathology sectors. Dr. Aggarwal has experience with early stage companies, having served as CEO of Vaxigenix, a pharmaceutical company developing vaccine treatments for colorectal cancer and as President and CEO of Aureon Laboratories, Inc., a predictive pathology company offering advanced tissue analysis services to practicing physicians and the pharmaceutical industry. His experience with more mature businesses includes service as President of AAI Development Services, Inc., a global contract research and development services company serving the pharmaceutical and biotech industries. Prior to holding that position, Dr. Aggarwal was President of Quest Diagnostic Ventures, where he had responsibility for new technology, new business models, clinical trials testing, and direct–to-consumer strategies. In addition, he served on the Executive Management team of Quest Diagnostics. Dr. Aggarwal currently serves on the boards of several privately held diagnostic companies, including: Accugenomics, Genisphere, Inc, Hycor Biomedical, Moleculera Labs and Targeted Diagnostics and Therapeutics, Inc. Dr. Aggarwal earned a Ph.D. in Pharmacology and Toxicology from the Medical College of Virginia. Dr. Robert J. Calcaterra is currently a principal in StartUp Partners International which is involved in the start up, structuring, managing, and financing of very early stage life science and agricultural companies. In 2009 through 2015 StartUp Partners has successfully started, organized, and funded nine life science, medical device and agriculturally based companies. Dr. Calcaterra is on the Board of Directors of CardiaLen Inc., Euclises Inc., and Moleculara Labs Inc. (Oklahoma City, OK), Traxxsson Inc.,, Sarmont Inc. and is on the Adviosry Board of Boston Mountain Biotech Inc.(Fayettville, AR).and Jones Innovation Medical Devices Inc. (Little Rock, AR). He also served as acting CEO of CardiaLen for over 1 year and was a past board member of Galera Therapeutics, Inc. Dr. Calcaterra has raised in excess of $100M for companies he has been associated with during this period. Dr. Calcaterra is Founder of the St. Louis Arch Angels (which has invested over $57M in 50+ companies since 2005. Dr. Calcaterra is also Managing Director in Exeteur Group LLC, a company that is starting, structuring and managing worldwide companies and relocating their headquarters primarily to the United States. Exeteur’s primary activities are in Israel, Eastern Europe and throughout the U.S. He has also been an adjunct faculty member in the Biomedical Engineering Department at Washington University and consults for many public and private institutions including companies in Nebraska, Kentucky and another two companies in Arkansas, the USDA, EPA, University of Nebraska Lincoln, University of Iowa, Chicago State University, University of North Dakota, Innovate Arkansas, i2E in Oklahoma and the City of Madison Wisconsin. These latter activities have been concerned primarily with technology transfer management and strategy, research park planning, strategy and governance, transitional life science facilities and incubator development, commercialization of technology, venture capital and an innovation campus strategic plan. 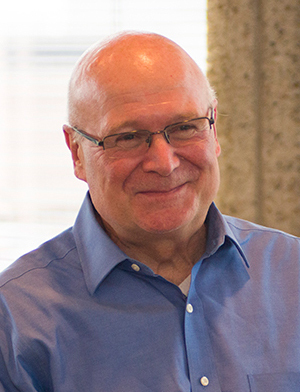 Dr. Calcaterra brought 19 years of experience in incubator management to his position as president and chief executive officer of Nidus Center for Scientific Enterprise until July 1, 2008. At Nidus Center, Dr. Calcaterra led efforts to commercialize technologies in the plant and life sciences by recruiting and nurturing young entrepreneurs with promising ideas and relevant business expertise. The Nidus Center has nurtured 20 start up companies.. The Nidus Center won two consecutive national awards (2005-06) for Incubator Client of the Year. The Nidus Center hosted the National Business Incubation Association International Annual meeting in 2006. During Dr. Calcaterra’s tenure at the three incubators he managed he has been involved in the creation of over 50 companies, has raised well over $250M in equity financing and served on the boards of at least 40 of those companies. He was also primarily responsible for the creation in St. Louis of the BioGenerator (a $10.4M proof of concept venture fund) and the Arch Angel Network which has invested in excess of $50M in 10 years and where he currently is President. Prior to the Nidus Center Dr. Calcaterra was president, founder and chief executive officer of the Arizona Technology Incubator (ATI). A public/private partnership, ATI provides technical and business support services to early-stage, technology-based entrepreneurial companies. Under Dr. Calcaterra’s leadership, ATI won three consecutive awards (1996-98) in the categories of Incubator Company of the Year, Incubator Innovation of the Year and Incubator Graduate Company. ATI hosted the NBIA International Annual meeting in 1998. The Arizona Technology Incubator is Dr. Calcaterra’s second successful technology incubator. He established the Boulder Technology Incubator (BTI) in 1989. Much like the Arizona Technology Incubator, BTI served as a mentor to technology-based entrepreneurial companies providing them with technical and business support. BTI won the National Incubator of the Year award in 1998. Previously, Dr. Calcaterra worked for numerous Fortune 500 companies. While with the Adolph Coors Company, he was Director of Research & Development, Licensing, and Quality Assurance where he managed as many as 325 people. He also formed eight technically-based businesses for Adolph Coors Company. 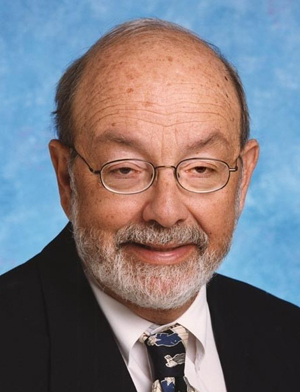 Prior to his work at Adolph Coors, Dr. Calcaterra worked as Senior Research Engineer for long-range strategic planning and technology forecasting and assessments for Amoco Corporation. He was also a research engineer for Alcoa Corporation and Monsanto Company, where he began his career in 1965. Dr. Calcaterra is well known for his civic work involving small-business related issues. In 1995 he was appointed by President Bill Clinton as a delegate to the White House Conference on Small Business. He has served on the board of directors of the National Business Incubation Association. He has been active with the State of Missouri serving on the Missouri Technology Corporation, heading the innovation center, investment and SBIR committees. In St. Louis he has been on the board of the Coalition for Plant and Life Sciences, St. Louis Capital Alliance and the Missouri Venture Forum. 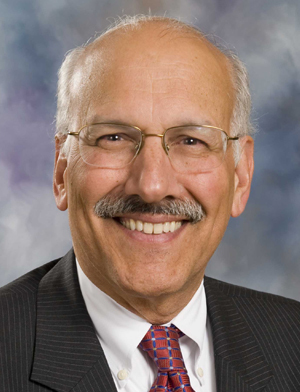 He shas served on the Advisory Board to the Bio-Molecular and Chemical Engineering Department at the University of Nebraska and the College of Art’s and Sciences Dean’s Advisory Board at Webster University where he still serves. Dr. Calcaaterra has also taught entrepreneurcship courses at the University of Colorado, Arizona State University and Washington University. Dr. Calcaterra did his graduate and undergraduate work in chemical engineering at the University of Nebraska at Lincoln with BS and MS degrees. He received his D.Sc. in chemical engineering from Washington University of St. Louis and later completed Harvard University’s Industrial Research Institute Executive Management Seminar. Brian L. Clevinger, Ph D is a managing director of Prolog Ventures, an early stage venture capital firm focusing on life science start-ups. He has had over 30 years of experience with all phases of commercial development of life science technology. 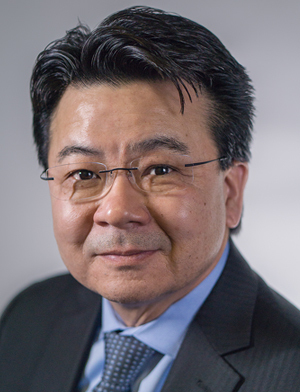 His experience includes working with university faculty to determine business potential of research programs, developing commercialization strategies and business plans, negotiating technology licensing agreements, raising capital and providing management leadership ranging from Board to CEO-level. His investment activities at Prolog emphasize biotechnology, diagnostics and medical devices. Either in his role as a venture capitalist or working for a venture capitalist, he has been involved in the funding of over 30 biomedical start-ups and has been an advisor to several more. Before joining Prolog, Dr. Clevinger was the CEO of a biotechnology startup, Megan Health, formed by A/W Company, a partnership of the California venture capital firm, Alafi Capital, and Washington University. He held this position from Megan’s inception in 1993 until its acquisition in 2000. He was in charge of all aspects of its growth, including three rounds of financing that raised over $11 million in equity capital. From 1987 to 1993, Dr. Clevinger was President and Chief Operating Officer of A/W Company. Working with Washington University researchers, he identified projects with high commercial potential, evaluated markets, competition and other business factors and presented his analysis to Alafi Capital for seed funding. Once a funding decision was made, Dr. Clevinger acted as an interim manager, conducted the search for a permanent management team and served as a Board member. Before joining A/W Company, Dr. Clevinger held a tenured position at Washington University, the faculty of which he joined in 1980. He earned his Ph.D. in immunology from Indiana University and was a NIH post-doctoral fellow at Washington University. Dr. Clevinger has been active in a number of civic organizations concerned with the process of new enterprise creation. He has given numerous presentations on entrepreneurism and venture capital. He serves on the board of the Center for Emerging Technologies, the board of the St. Louis Academy of Science, the Advisory Board to the Dean of Arts and Sciences of Webster University and the board of the Missouri Venture Forum. He also serves on the board of the Family Resource Center, a non-profit organization combating chronic child abuse and the board of the Repertory Theater of St. Louis. 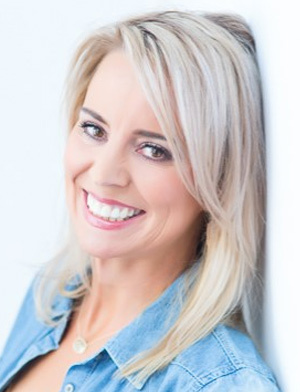 Sammi’s sales and marketing career began in 1998, when she joined Paragon Scientific Corporation to sell plasma derivatives such as IVIG and anti-hemophilic factors in a multi-state territory. From 1999 to 2008, Sammi worked in sales for a number of different small to mid-size pharmaceutical companies. Educating physicians on drugs that act on the Central Nervous System was her specialty. Sammi spent most of her time working with pain management providers, psychiatrists, and neurologists. During her 10 year work in specialty pharmaceutical sales, Sammi became a trusted partner to physicians. By working closely with her customers, Sammi gained a unique understanding of the challenges they were facing every day to objectively document a patient’s condition and progress. Laboratory diagnostics in poorly understood conditions like chronic pain were emerging, but not fast enough to keep up with the legal and regulatory climate that physicians are practicing in. In late 2008, the entrepreneurial spirit struck Sammi. She saw the frustration of her physician clients, and believed she could help. Together with some key partners, including Jeff Wise, Sammi started Capital Toxicology, LLC to help physicians monitor and document patient compliance through urine drug testing. They set new standards in the laboratory world of clinical diagnostics, by using state of the art LC/MS/MS technology to deliver results to physicians in less than 48 hours, which substantively changed how physicians managed patients to whom they were prescribing controlled substances. As President & CEO of Capital Toxicology, Sammi took a hands-on approach to all aspects of the business, including sales and marketing, reimbursement, contract negotiations, compliance, and personnel management. In less than 2 years, the company grew to over 50 employees, serving clients nationwide. Capital Toxicology’s rapid growth and industry reputation attracted the interest of Alere, Inc. Together with her partners, Sammi negotiated the sale of Capital Toxicology to Alere, a publicly traded company, at the end of 2010. Sammi stayed on for a two-year transition/earn-out period as Vice President of Commercial Development, which ended in early 2013. By that time, Sammi was eager to leave the corporate world and get back to the business of being an entrepreneur. Since departing Alere, Sammi and her partner, Jeff Wise, have been involved with several successful start-up companies as investors, advisors, and principals. Sammi serves on the board for several different companies, including Moleculera Labs, Inc., a specialty clinical laboratory with a focus on rare autoimmune conditions. Sammi and Jeff also recently founded an innovative new fragrance company, Mixologie™, LLC. The launch of Mixologie™ Blendable Perfume Collection is expected in Q4 2015. In her spare time, Sammi enjoys life in the country with her husband, Travis and their two daughters. She enjoys fishing, competing in rodeos, snow skiing, and just about anything outdoors. Sammi is very active in her hometown community of Smithville, Texas where among other things, she volunteers as a coach for youth softball. Sammi also enjoys using her private pilot’s license to fly for both business and pleasure.